Join us at the Roebuck Family Skate Center for a Free fun-filled time together on Monday, October 23 at 6pm. 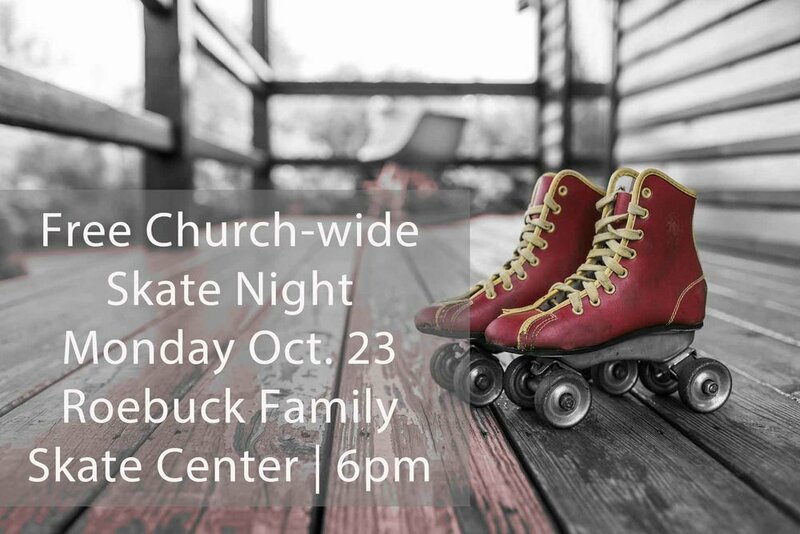 You can skate or simply come and hang out with your church family. We hope to see you there!